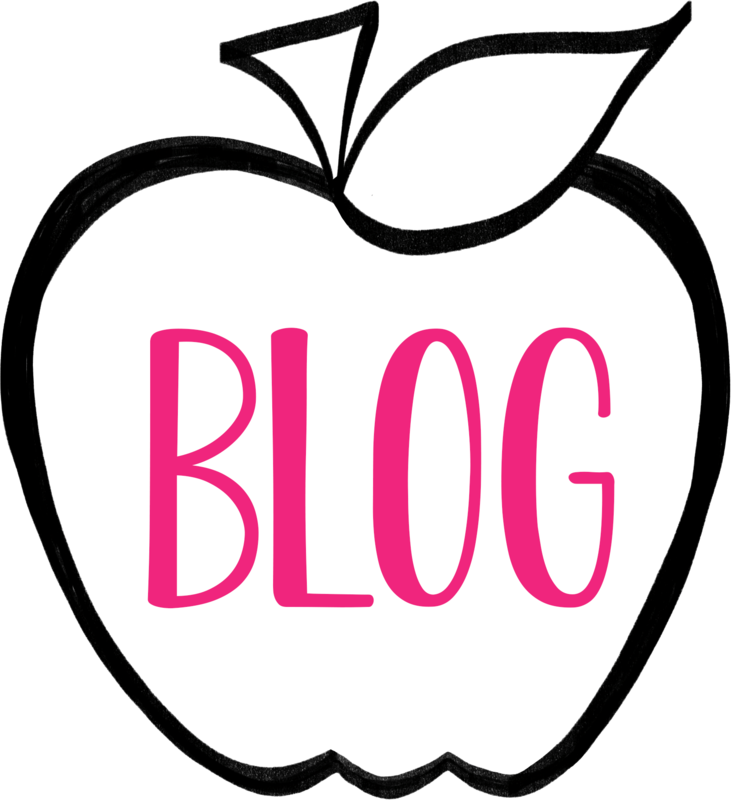 Do your students get stuck on writing? 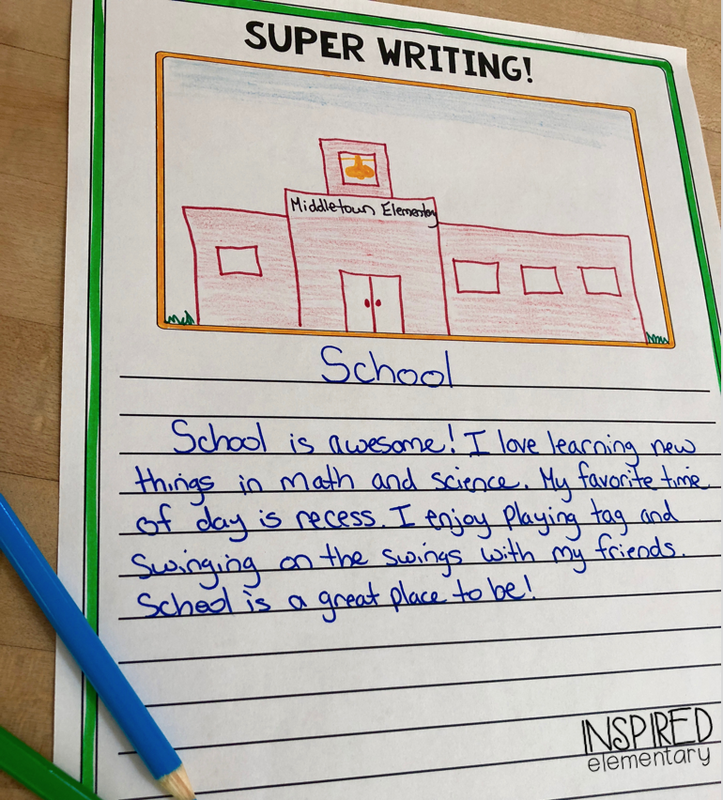 “I don’t know what to write about,” was a common phrase in my classroom until I introduced SUPER WRITING! 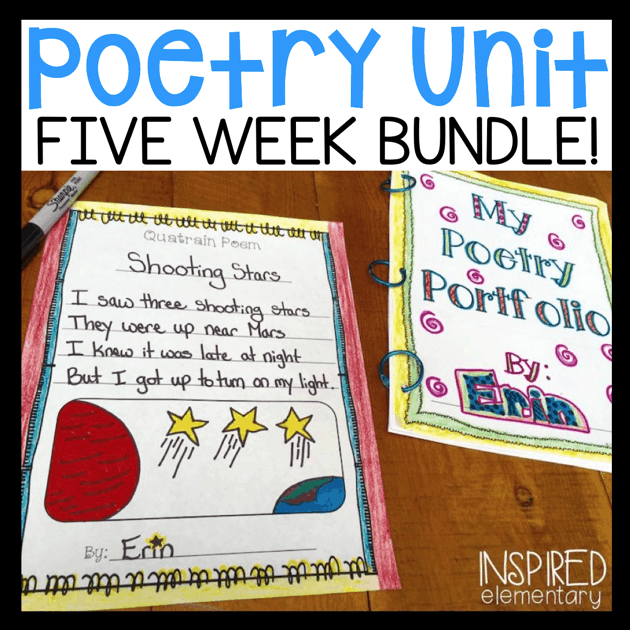 This simple writing fluency activity builds students’ writing stamina, as well as gives them an idea bank full of writing topics. 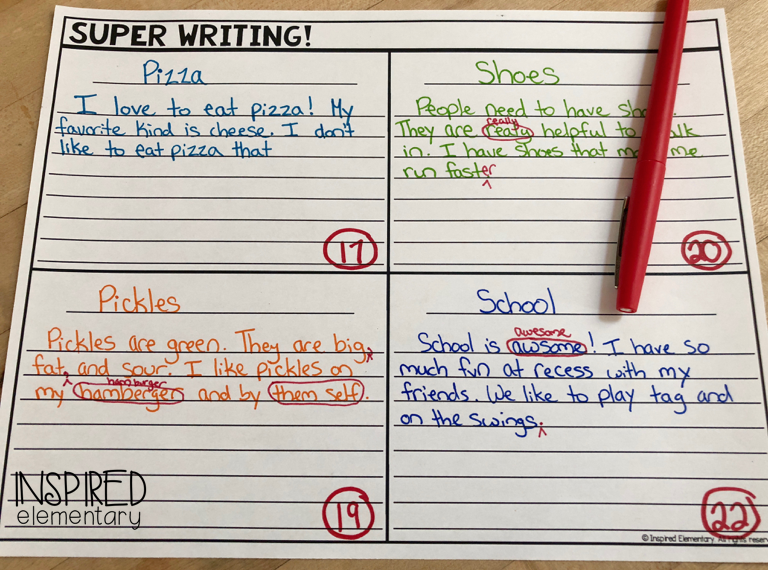 Super Writing is a weekly (or daily) writing activity that builds students’ writing fluency skills, as well as increases their writing confidence. 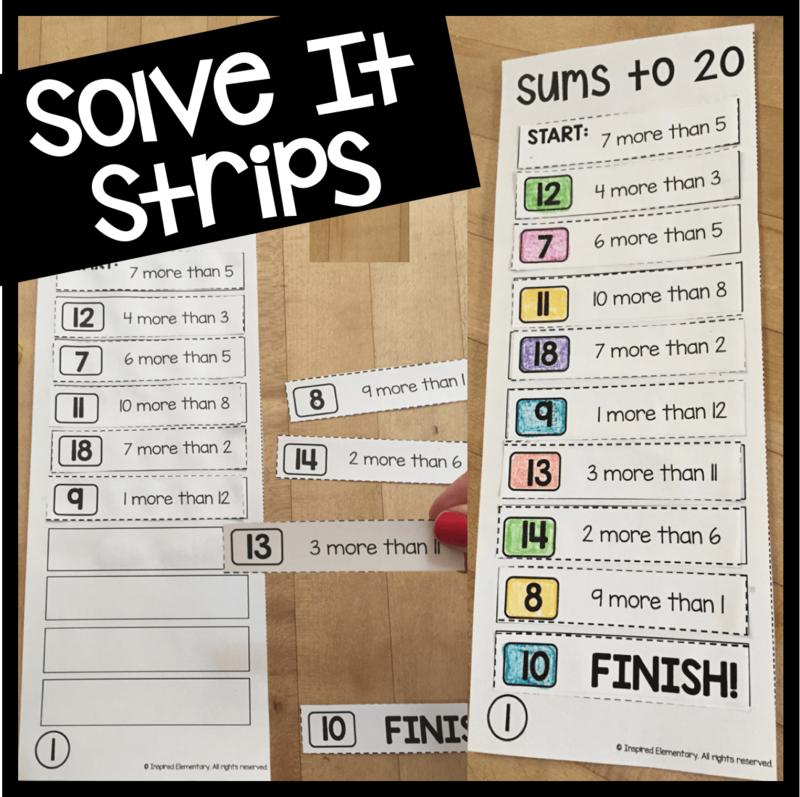 Once students get the hang of this activity, it can be done in ten minutes or less. 1. 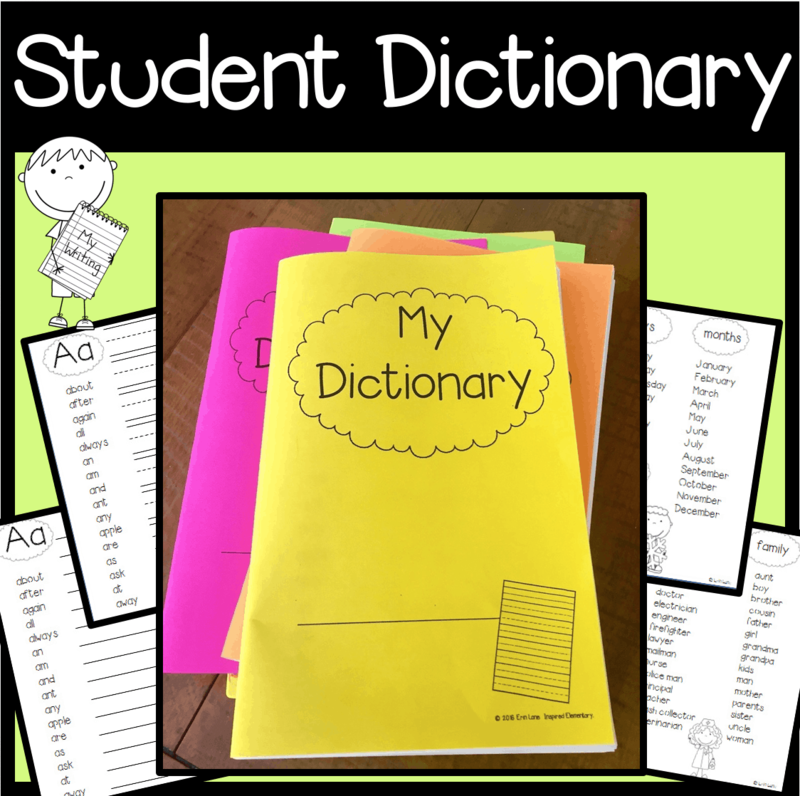 Students get their Super Writing Journal (or spiral notebook), a pencil and a marker ready. 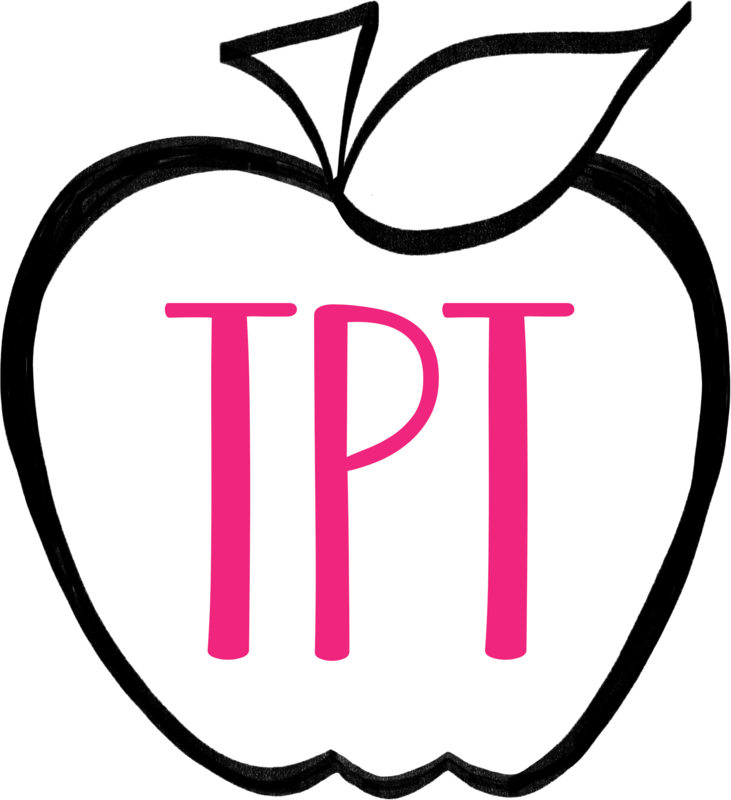 The teacher gives the class a topic (title) to write at the top of their page. 2. The teacher then tells the students that they have one minute to write as much as they can, as well as they can. Students are not allowed to ask questions during the one minute or raise their hand for anything except a broken pencil (I actually have my student raise their pencil if this happens so I can quickly replace it for them). 3. The teacher sets the timer and gives students one minute to write. 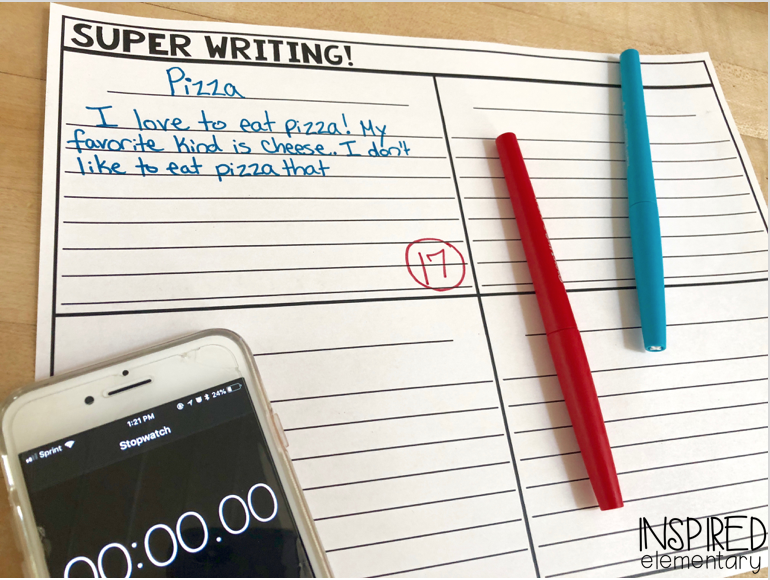 When the timer beeps, the teacher says, “pencils down.” Students may only finish the last word (not sentence) they are writing and then drop their pencils. 4. 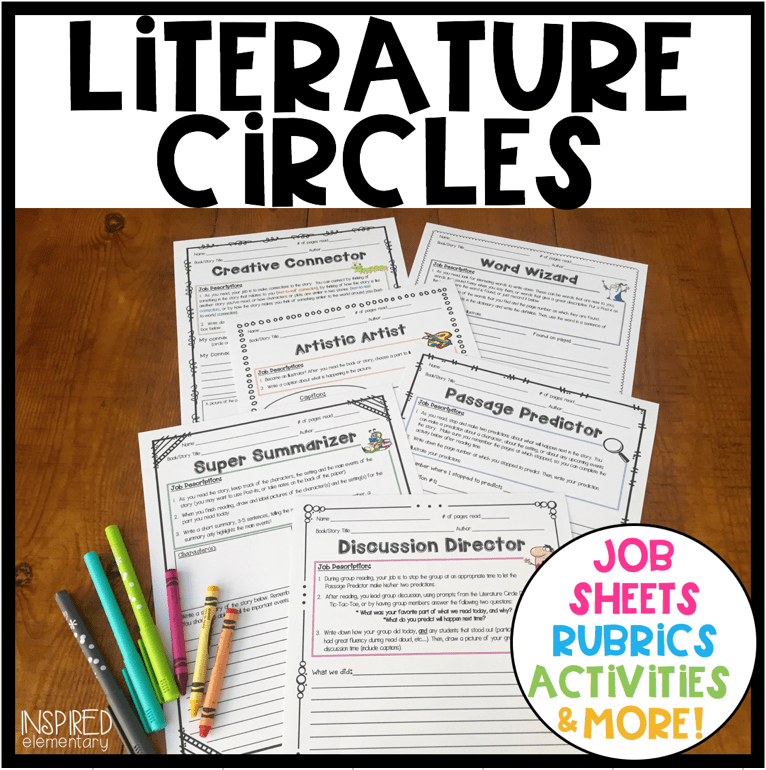 Next, the students count how many words they wrote and record it in color (pencil, crayon, marker) inside of a circle at the end of their paragraph. 5. 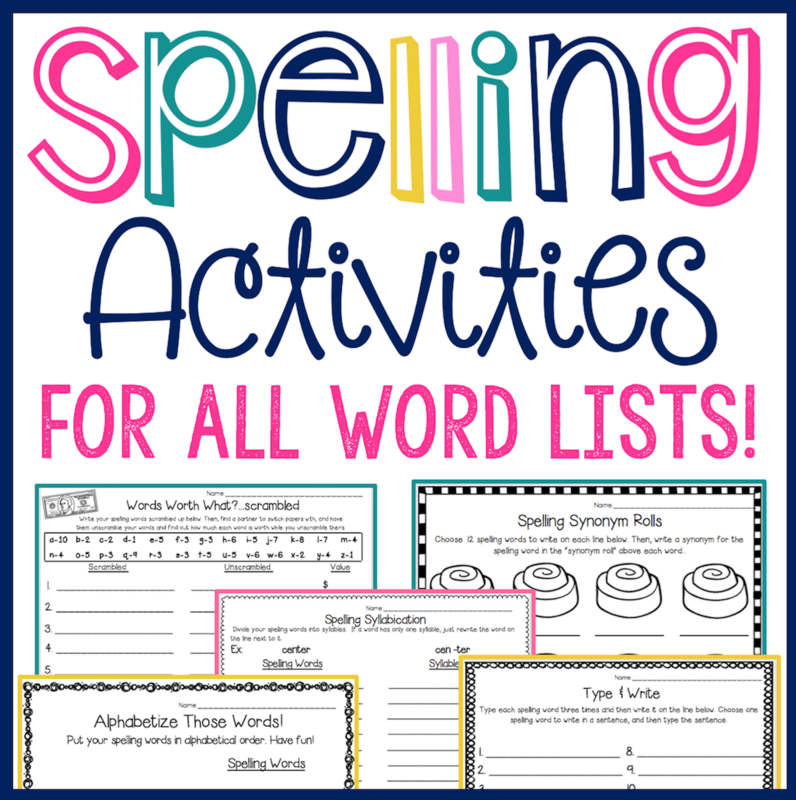 Once all students have their words counted, the teacher displays the Super Writing Record Sheet to record students’ total word counts. 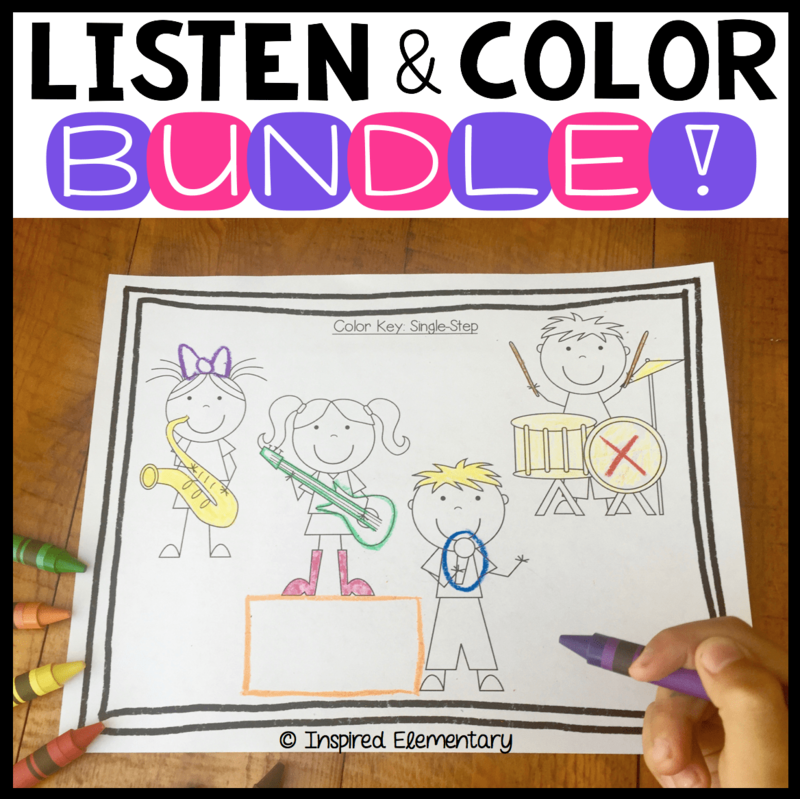 The quickest way to do this is to have students raise their hands for each category (i.e. “How many students had 0-4 words?” and “How many students had 5-10 words?”). The teacher tallies the totals in each row under Round One. If you are using this in first grade, it’s best to do it in a small guided writing group. NOTE: If you don’t want to do a whole class word count, you can have a table captain record their groups’ word counts on a Post It and bring it up to you. 6. Once the totals are all tallied, you can do a round two, three, etc.. I recommend at least doing two rounds per session, so students can really challenge themselves to write more! 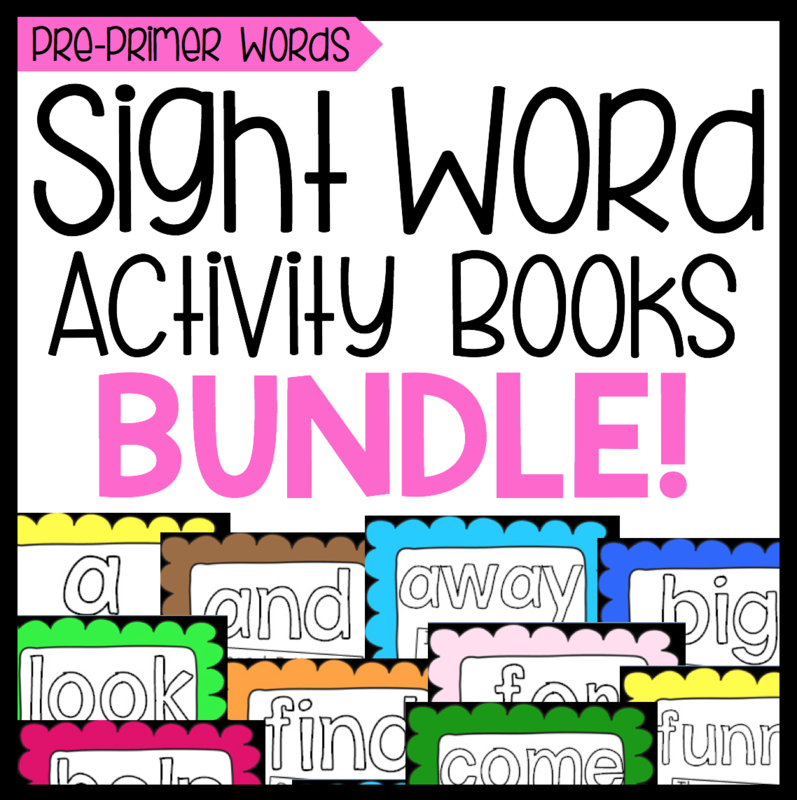 Most students will improve their total word count within three levels. It’s fun for them to challenge themselves and watch their own growth (almost immediately). 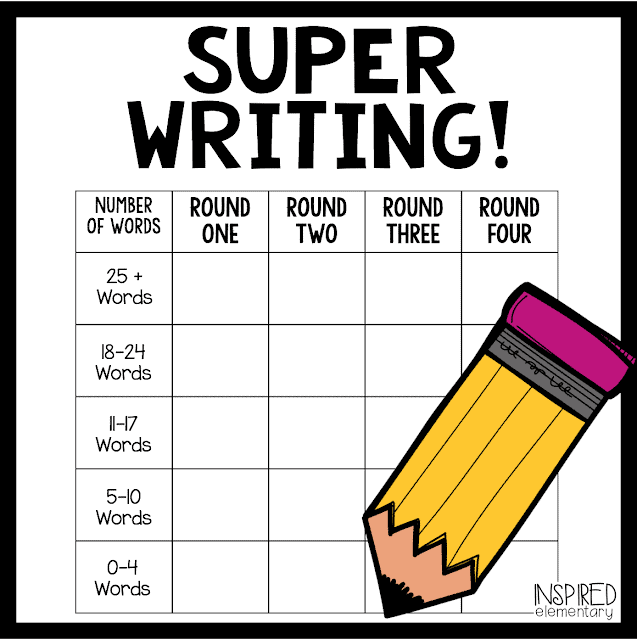 Super Writing makes the perfect warm-up activity to Writer’s Workshop, too. So what now? Students finish four rounds of Super Writing and have these sentences or short little paragraphs in their journals. 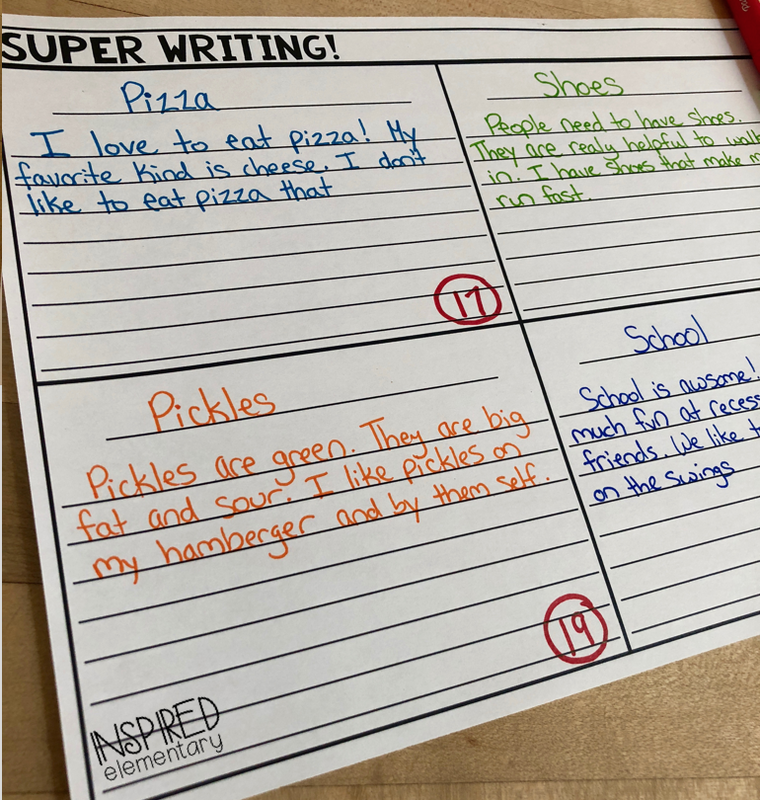 Well, my favorite thing to do is to let students circle their favorite “Super Write” of the day/week and actually develop that into a final draft of writing (it can be in paragraph form, topic for a friendly letter, a poem, etc.). Before doing that though, students complete a quick edit and revise of each Super Write, going through to check conventions, word choice, sentence structure, etc. One final benefit of having a Super Writing journal, is that it becomes a bank of writing topics for students. 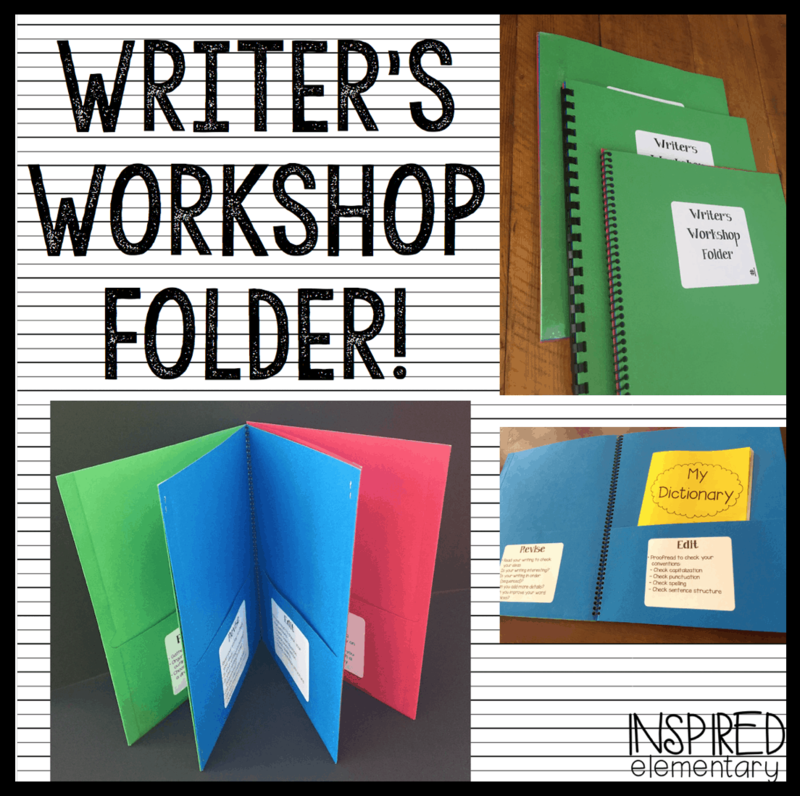 When students aren’t sure what to write about, they can look to their journal for an idea. 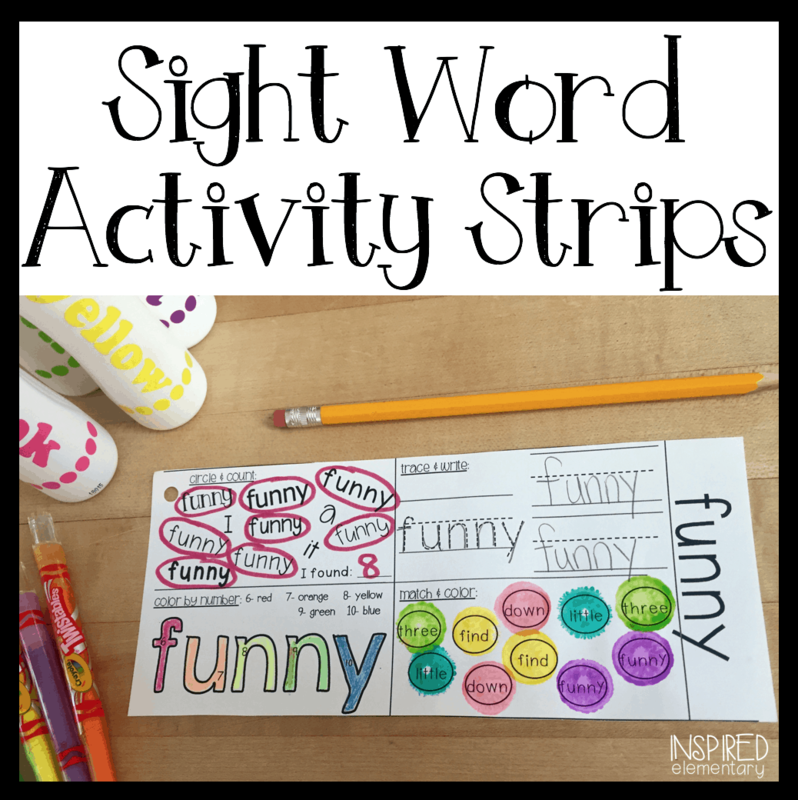 I hope you will give this activity a try in your classroom! 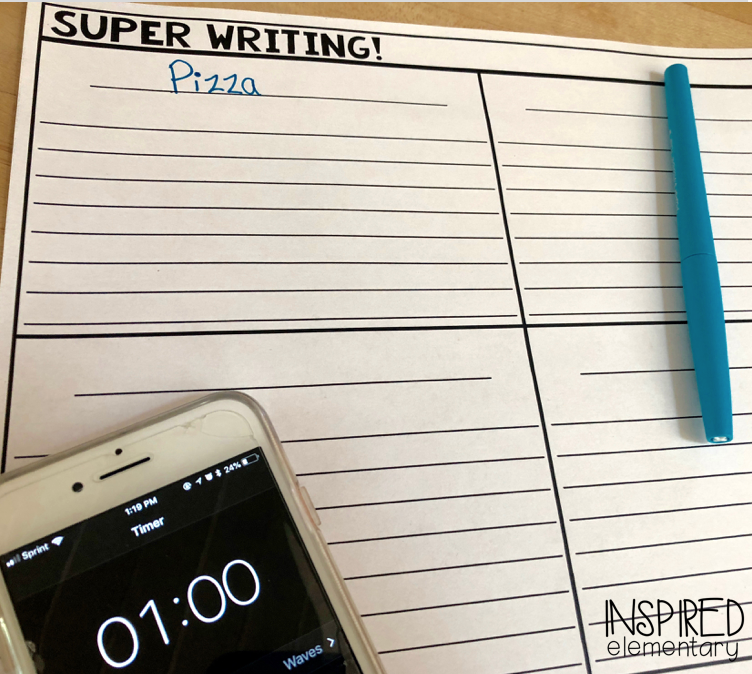 I have a complete Super Writing Pack that includes five different leveled recording sheets, Super Writing pages that can be turned into a journal for the year, recommended starting levels, a master topic list, as well as monthly topic lists to guide your Super Writing for the year. You can see more HERE. 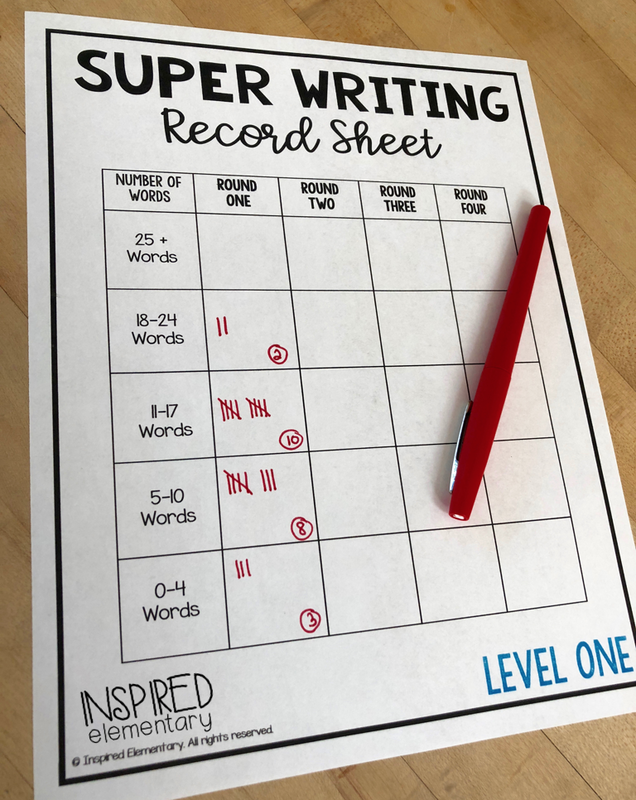 As an email-exclusive FREEBIE, you can grab a Super Writing Record Sheet (level one) to try out this engaging activity with your class. CLICK HERE FOR THE FREEBIE. 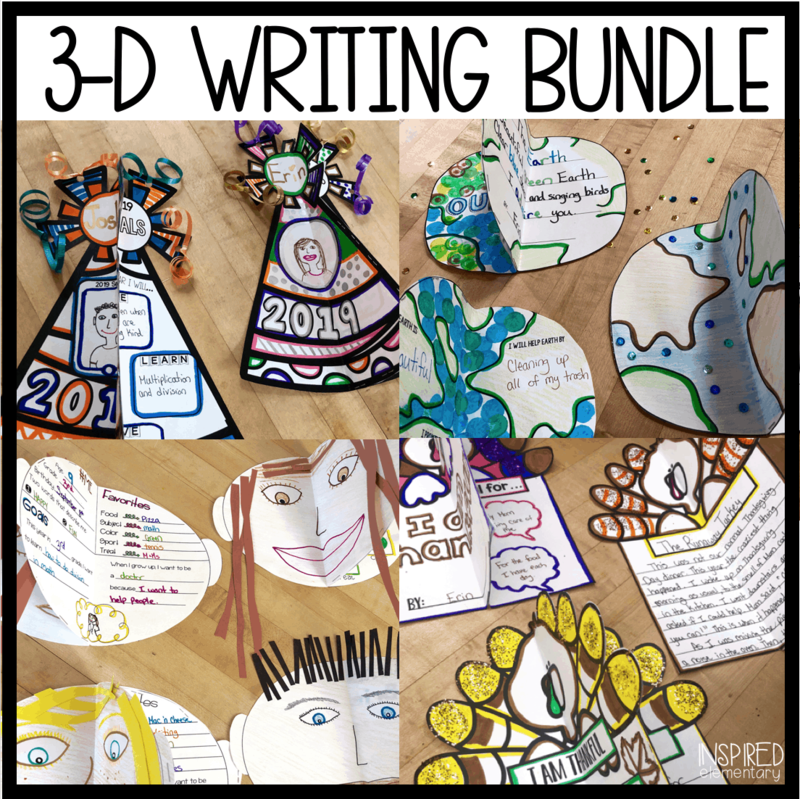 Here are some other writing tools that teachers love!